Event registration doesn’t have to be so expensive. Most of the services out there get you when your coming and your going, meaning they charge you a fee for each registrant of up to $5.00 and then charge astronomical credit card fees of 5.0 – 6.0%. This seams like gouging to me. Web Payment Software is a solution the has a small monthly fee of $15.99. 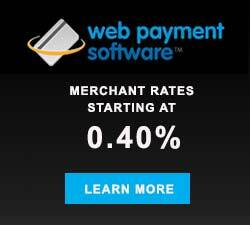 We set you up with a merchant account that costs $10 per month and your processing rate would vary from 0.35% to 2.7%. One WPS client saw a total expense of $1.97% for their total online events registration fees. The 1.97% included the $15.99 WPS fee and the $10 merchant statement fee. There are some pretty fancy platforms out there we will give you that, but you don’t have to pay way too much for you event registration services. 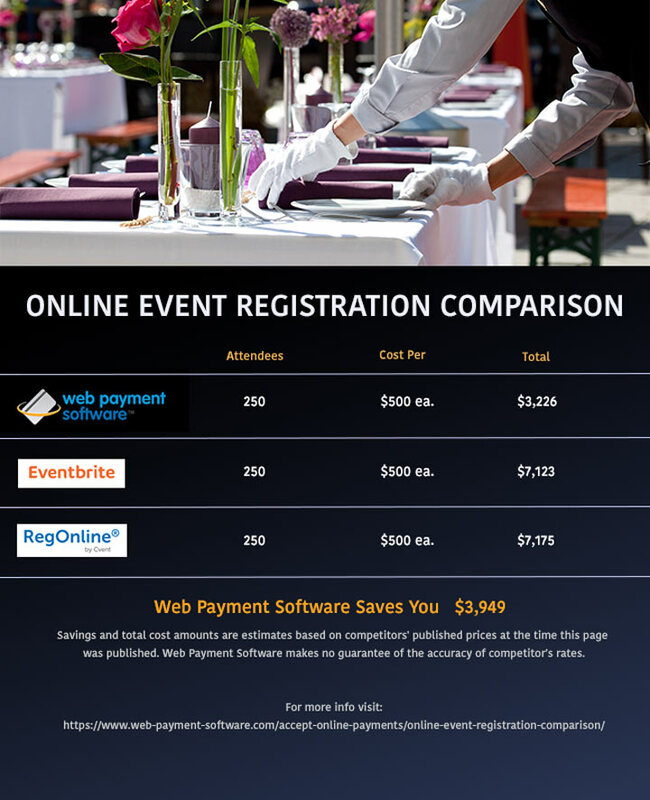 Learn how Web Payment Software has been saving our clients thousands of dollars for online event registration services. Click here to use an interactive tools for comparing prices of event registration platforms.